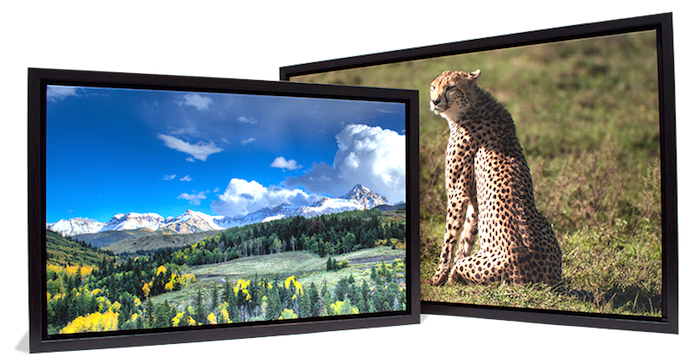 Elevate your art by combining stunning APC canvas wraps with our eco-friendly floater frames. 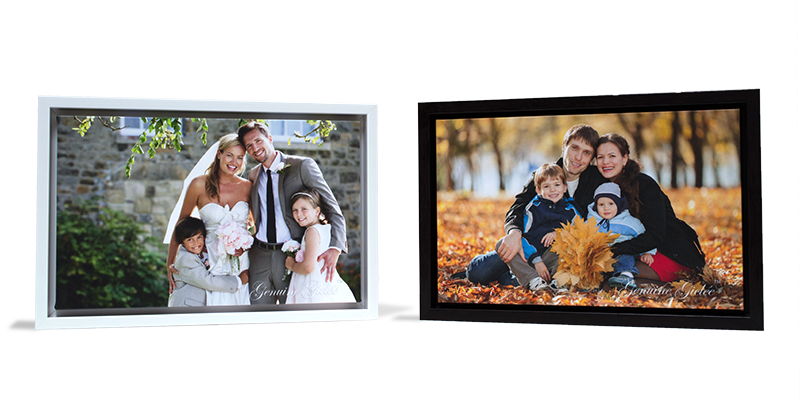 Framed Canvas Wraps bring additional depth – and even more flair – to your photography. Sleek, contemporary, beautiful, affordable … and eco-friendly, too! These Framed Canvas Wraps aren’t just easy on the eyes. They’re pretty easy on your wallet – and the environment too. APC Framed Canvas Wraps start at just $76 – complete with hanging wire. Impeccable, archival canvas prints – custom framed for a fraction of what you’d pay at a local frame shop! Crafted from a hard resin foam derived from recycled materials, our frames are an environmentally friendlier version of wood-based frames. 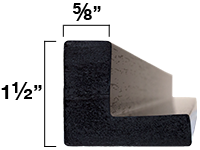 In fact, our floater frames look identical to the wood versions of the same frame moldings because they have the exact same veneers. 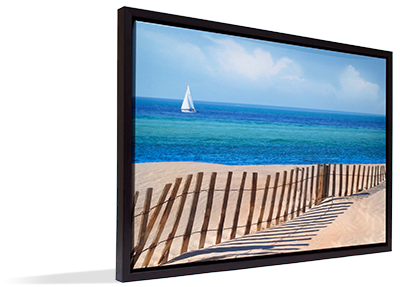 The only substantive difference is in the weight of the frame molding – but consider that when the outer frames are merged with the hardwood-framed canvas wraps, the end result is a very substantial feeling product. When you receive your gorgeous finished art, pat yourself on the back for joining Team APC as we save trees and reduce the world’s waste stream. A nice selection of frame colors allows you to complement your image – and your decor. Our floater frame profile was inventively crafted to look amazing at various finished print sizes. Whether your canvas will be displayed in a large, small, or somewhere-in-between size, the framing effect will be equally dramatic.